Riley Blake Designs, Seaside by Tasha Noel. 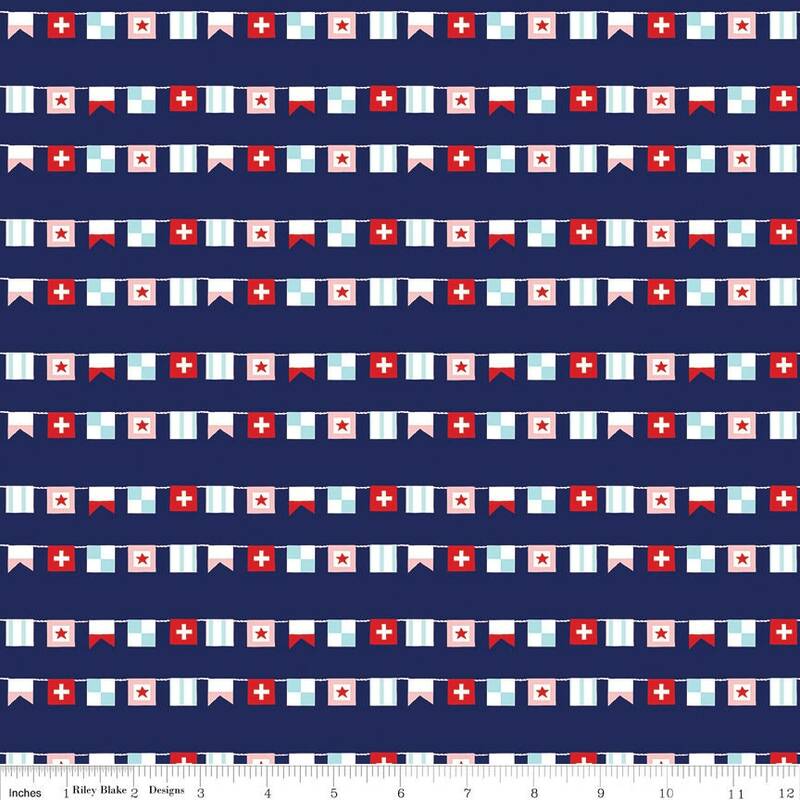 100% cotton, pattern C7233-NAVY, Seaside Flags Navy. These fabrics are adorable and I can’t wait to use them. Thank you!